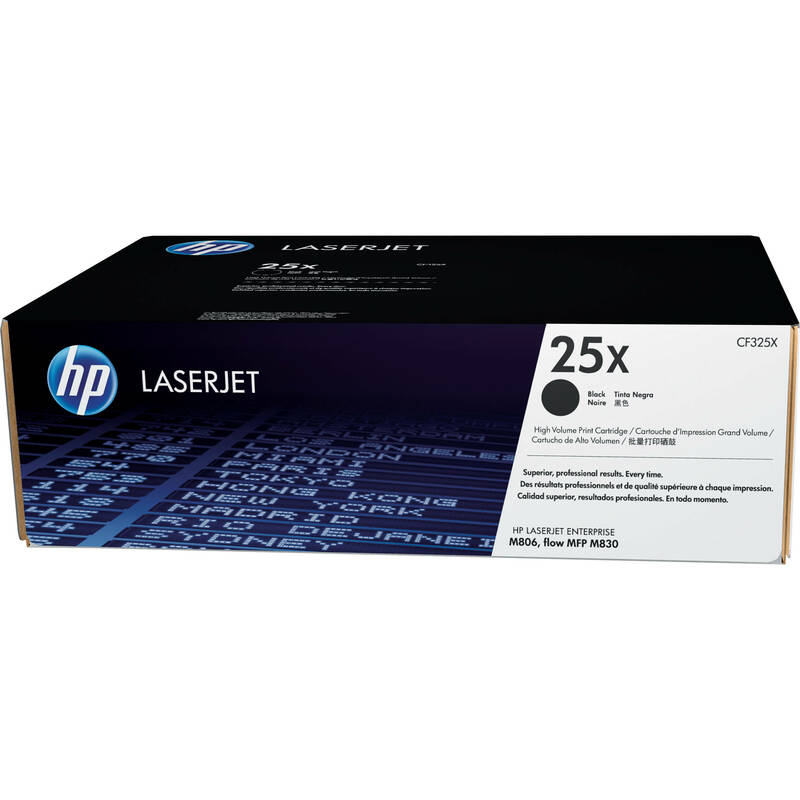 The HP 25X High Yield Black LaserJet Toner Cartridge is a replacement for the LaserJet Enterprise flow M830 All-in-One and LaserJet M806 printers. It features a yield of approximately 34,500 pages. 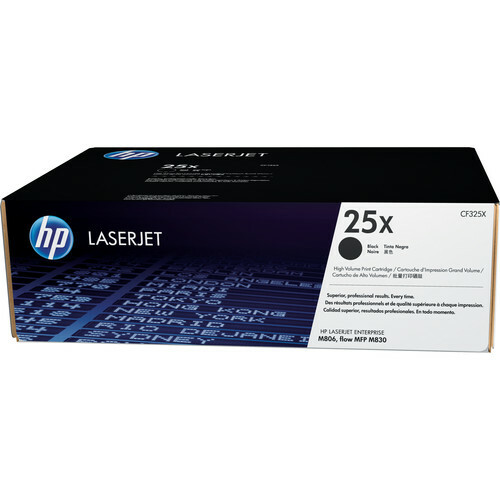 Box Dimensions (LxWxH) 23.15 x 15.748 x 7.244"